"Showcasing more than 150 of Chicago’s finest restaurants and chefs, as well as hundreds of renowned vintners, spirit makers, and premium breweries from around the world. Guests enjoy dozens of live cooking demonstrations, expert seminars, gourmet tastings, and book signings by internationally renowned chefs, master sommeliers, and winemakers." This evening I am going to Umami Burger in Chicago's Wicker Park. So needless to say, this weekend is going to be a busy food packed event! I cannot wait to share all of the incredible food, beverages, and news that I come across. Keep your eyes peeled for posts featuring Umami Burger and Chicago Gourmet. I've been hanging onto this recipe for a few weeks now. I realize fish may be a touching subject for some people. You hate it. You love it. Either way, I'm sharing this recipe! I always find it interesting how ingredients can come together to make one delicious dish. Separately, there are a number of ingredients in this recipe that I am not a huge fan of - capers, parsley. The idea of blending up fish is strange as well. But when you mix everything together, the flavors meld, creating a delicious spread. Due to time restrictions (aka guests arriving at our house before everything was prepared), I made an executive decision to serve the spread sans tomato and onion slices. I absolutely plan on making this in the future to get a better understanding of the true smoked salmon and caper spread experience. As always, another week is coming to a close. I would love to heard your feedback on anything - SMAK in general, recipes, questions, etc. I have been blessed to start getting some amazing feedback and responses from readers and companies recently and I am thrilled to see what the future of SMAK holds. 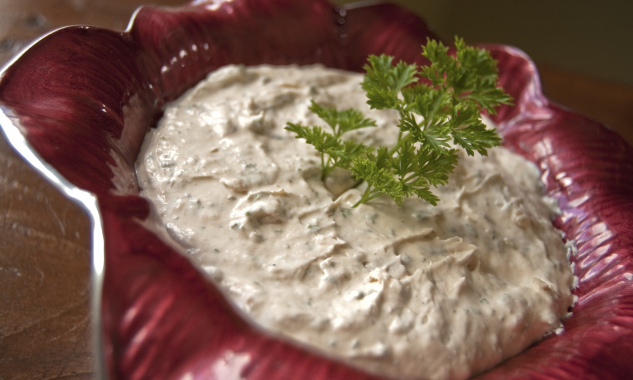 Combine the cream cheese, milk, parsley, lemon juice, capers, hot pepper sauce, and about three-fourths of the salmon in a food processor and process until smooth. Add the remaining salmon, season with black pepper, and pulse until just incorporated. Spread on the toasted bread, top with the tomatoes and slivers of onion, and serve at once.